Home > Budget Holidaying > Caravan Holidays: a Cheaper Alternative? When downsizing your life holidays will often be an expense that cannot always be afforded. By considering a caravan holiday either touring or staying in a holiday park your family will still be able to have a break away from home and enjoy time together. When one is used to jetting all around the world for exotic holidays it is likely that a caravan holiday has never been considered. However, once your lifestyle is downsized any break will be a welcome one. With caravans now having every luxury you have at home including, showers, flushing toilets, fitted kitchens and air conditioning there is no need to feel as though a caravan vacation is a third rate deal. Whether you opt to purchase a caravan that is towed behind the family car or whether it will be sited at a holiday park is completely up to you and your family. Before paying out for what could be an expensive purchase why not rent a caravan and take it on a tour of the UK? Book your stop over sites before leaving home, there are many paperback books available listing suitable sites or you could join the caravan club if your intentions are to be long term. 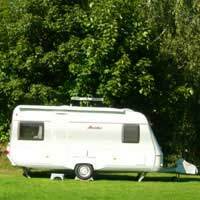 Make sure that you stay on a few holiday parks that also have static (non-moving) caravans. Check out the facilities on offer. Supermarkets, nightclubs laundry and shower blocks plus restaurants are normally on offer. Some sites cater more for families with young children, which is ideal if you intend taking grandchildren with you where as other sites are geared more for adult travellers. Once you have paid the initial cost of the caravan your holidays will be a lot cheaper than holiday you once spent touring the globe. Whether you decide to tow your caravan on a UK holiday or stay at a holiday park you always have an option for meal times. With caravans having well laid out kitchen area with cookers and fridges it is easy to cook a good meal for the family. On the other hand you are on holiday and may not wish to waste your time in domestic duties. Rather than self catering you can leave your caravan and drive to a cafe or restaurant or visit the facilities at the holiday park. The choice is completely yours. Do not think that caravan holidays are just for UK holidays. Many people hook up and travel overseas taking advantage of off peak channel crossing concessions as they are no longer working. With a map and a guide book the continent is your oyster! If you are really feeling brave and fancy travelling further afield why not consider flying to America, Canada or even Australia and hiring a caravan or motor home and explore new horizons at your leisure? Many of the American motor homes are really large and perhaps by sharing the holiday with friends it would halve the rental costs and also the driving. Once you are used to travelling with a caravan you will be able to hook up and set out on short breaks around the UK without a second thought. You will be able to tour in cold as well as warm weather as the caravan will have heating. In fact you do not even have to book your pets into boarding kennels and catteries as they can travel with you. A cage for safety and perhaps an awning attached to the caravan for extra space all the family will enjoy their caravanning adventures.